Working out of her jewel box of an apartment at the base of the Brooklyn Bridge, Celine has made a career of tracking down missing persons, and she has a better record at it than the FBI. But when a young woman, Gabriela, asks for her help, a world of mystery and sorrow opens up. Gabriela’s father was a photographer who went missing on the border of Montana and Wyoming. He was assumed to have died from a grizzly mauling, but his body was never found. 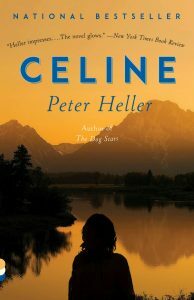 Now, as Celine and her partner head to Yellowstone National Park, investigating a trail gone cold, it becomes clear that they are being followed–that this is a case someone desperately wants to keep closed.